They've brought a lot more steel in, added some steel columns in the "pool" and a portion of a steel "roof" on the "pool". Keep an eye out for REAL ROCKS! I kid you not. A SILA video from 4/14/17 from CC. Great rock work shots, plus one guy who just doesn't seem to get it: "you mean cut the rock like this? oh, you mean, cut it like that? oh, more like this then? oh, I get it, like that? wait, something like this? or more like that?" And they've started installing the ROA track. So happy to see the guide rail for the riverboats being put in! Edit: Just saw that this video and the full panel video are posted in another dedicated thread. I'll leave this here just so it's a part of this thread as well. A little Disney progress report with a few glimpses of things not yet seen. Interesting. Last edited by MrToadOfToadHall; 04-16-2017, 08:36 AM. A bouquet of Churros plz! A SILA video from 4/11/17 from ROA/BTM/CC. Note the track?? for Mark Twain/Columbia at 4:44 and 5:32. I am wondering if anyone has any guess as to what those metal branch like pipes are for. The SILA vid took the time to show them in a still shot in her edit. It's the same shot that makes up the thumbnail to the video. They seem to be roots? Like they'll be covered in magic mud and textured and painted to be upended roots? We'll have a flood scene? My debate with my buddy: they are NOT water pipes for water features... he says they are. Thoughts? In the same video, two still shots showed the NW side of TSI, where did the keel boat go? Why place it there and then remove it? Was it a test to see how it looked in that space? The colon is placed after the "M", not before it. I think this video confirms a couple things many of us already assumed. The MF ride will be a sim with your group in the cockpit of the MF. The BE will be a darkride atleast partially and you will pass by ATAT's during the ride, now I wonder... Are the two steel ATAT's the two the ride passes between or are they Queu dressing and the others they speak of in the video are the ones you pass by? I am almost envisioning the two steel ATAT's being something you walkthrough upon exit. Like the battles over and they are now silenced as you pass them upon exit. I think that was a manifold for water distribution. Air would have been smaller and making exposed roots would have been done with rebar and chickenwire I think. I can't imagine they would build full-size ATATs that take up a significant chunk of real estate inside the show building, and also have them placed in what is more or less the enter of the whole thing, and also have them be excitedly animated in that promo video Disney released a few weeks back, only for them to be something you walk past while you're exiting the ride. I'm gonna say no on that one. Once you leave the load area (the circular area with columns in the middle), you'll load the ride vehicles. Once in those, you won't leave until the final unload area. The ATAT's will just be viewed as you pass through that scene in the attraction. 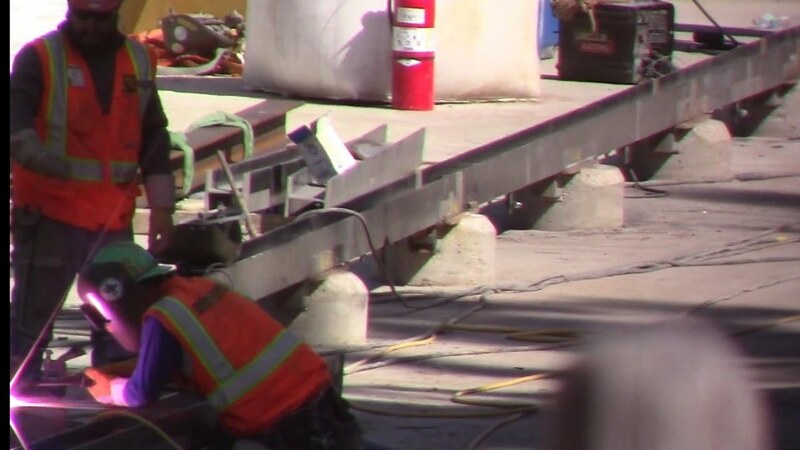 It's cool to see that they're putting some sort of a bridge across that "basement" area of the BE attraction. You can see it around 9:20 in the SILA video. I say bridge because it appears to widen at both ends. It'll be interesting to see what this turns out to be. I would guess that the areas that have basements will either have some effects that require them, or ore likely, locations of elevators. There will need to be two locations for elevators. One to take guests UP to the second floor ant another to take the back DOWN to the first floor. If the locations of the two structures on the roof of the framed portion of the facility are locations for one set of elevators, the pit you indicated may be the location for the other elevators. Which ones are UP and which are DOWN is still uncertain. Hmmm. Still looks like a bridge to me, just because of the way it fans out on either end. I'm going to assume this is part of the ride. No reason it can't be both! The first movie had a rather famous sequence that happened on an elevator in the Death Star. 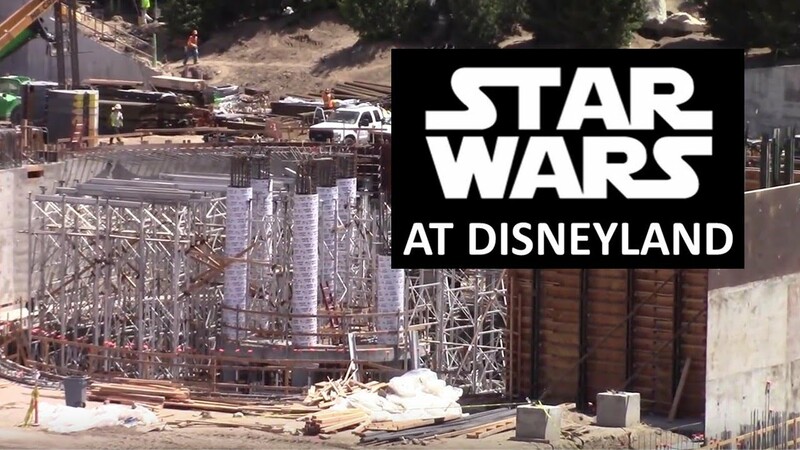 I was rather hoping they fill it with water for a sewer/trash compactor sequence. I noticed that it widens at both ends too after looking again. It does seem more like a bridge! Interesting. Can someone please just ask Disney to put something like HoJo's Mattercam on top of the Mickey and Friends parking lot? This would be a perfect livestream opportunity for them! There are plenty of us 'older' Disney and Star Wars fans that are just fine with rides that some may not consider 'thrill rides'. We don't yet know what exactly the MF ride will be like. It will likely be plenty thrilling for most people, like a more personal Star Tours that you can actually control. The Battle Escape ride will be all about running away from, and possibly fighting against, the empire/first order. For all we know (very little), it could end up using something similar to the Indiana Jones ride vehicles. (Nobody ever said that it would be a boat ride.) I don't think we can classify that as just a dark ride. I get the feeling that you'd prefer something more like a roller-coaster? What I'd like to see is a time lapse video of each day's work, available the following day. I agree I think if I want a pure rollercoaster style thrill ride DCA has a great one but roller coasters for all their fun and glory are a different animal to what I think most people visit Disneyland for. So Cal, coaster connoisseurs have Six Flags and Knott's for those. 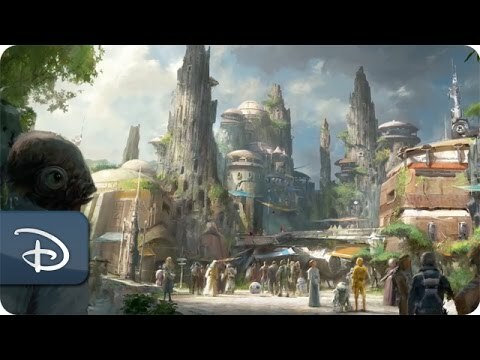 I would be more then happy to have a Dark Ride and Sim as the two main attractions especially since StarWars is such a visually rich world that enjoys being sipped and not simply tossed down as a shot. All times are GMT-8. This page was generated at 10:13 PM.